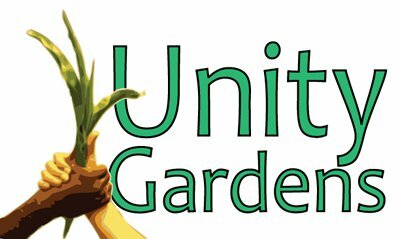 For the last 3 garden seasons Saint Mary's has let Unity Gardens be a part of its spiritual leadership camp . Its a summer camp that high school Seniors come to from all over the Midwest to learn about spiritual leadership . One of their days includes spending the day working in the LaSalle Square Unity Garden . The day starts with Sara going to Saint Mary's , and giving a powerpoint overveiw of Unity Gardens . Next its a bus ride to the Garden . We break the group of 28 girls into 3 groups Heather , Kate & Sara each get a group . First its tasting tour of the garden . Next the weeding starts . Heathers group heads over to the East Garden to weed , and put leaves between the Tomatoes , and peppers . The rest weed in the Main Garden . The Girls get alot of weeding done before they break for lunch . After lunch the work is a little more casual . They have time to Sample the Mulberries , and play some games . It was a great day. We all learned somethings , and the garden looks lots better ! !